Generally parachutes are used as rescue stuff for passengers in aeroplanes and for pilots and crew. But, if we think deeply they are helpful for people in skyscrapers. During any fire accidents and earthquakes, people who reside in the top most floors could not have much chance to escape. 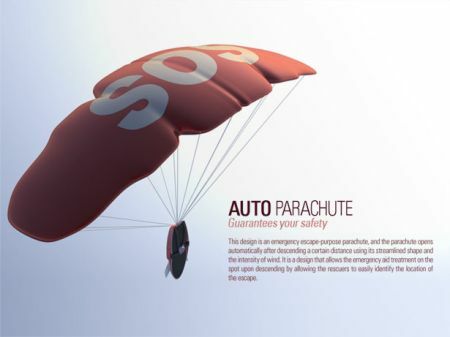 For such purposes, Auto Parachute is designed. 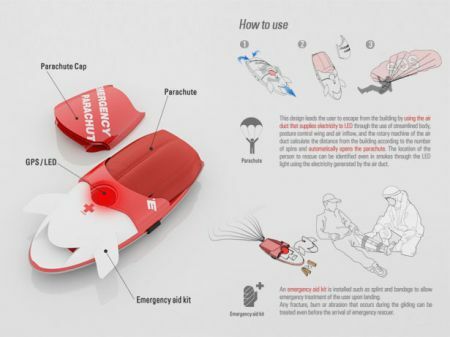 This Auto Parachute looks like a base of sped boat. It can be worn as a back pack similar to all parachutes. 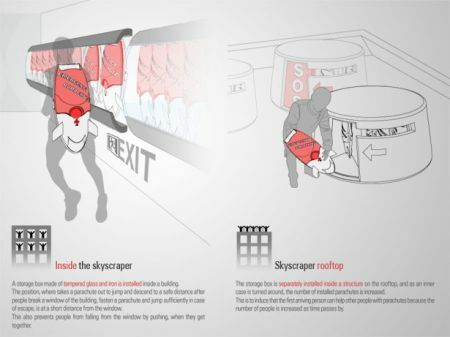 It has a wind hole which facilitates the users to jump conveniently from any height. 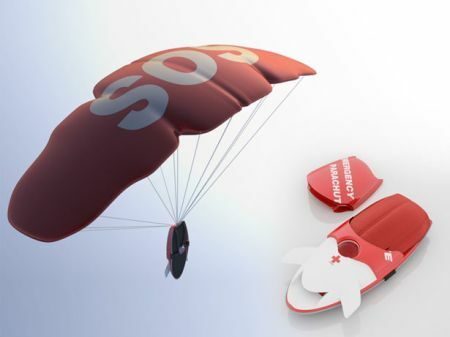 It has a built-in sensor which can open the parachute automatically when the user dives down. LED light equipped help the users to get located by others when landed in remote areas. 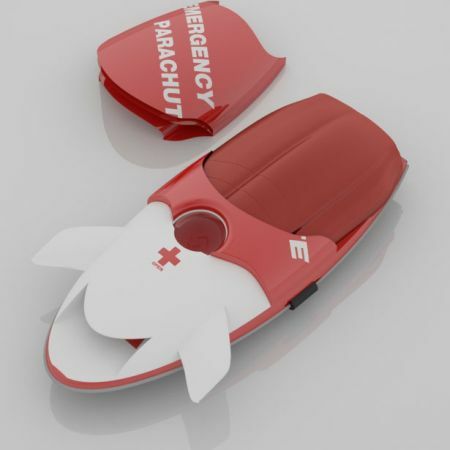 A first aid kit is also provided to ensure further safety.